Here's how to get more sleep. Some of the most well-known businesses and organizations out there — think Google, Nike, NASA — have realized that napping can help boost productivity. That’s why many are investing in nap pods and transforming conference spaces into sleep rooms. “The idea that napping is only for preschoolers is simply not true,” says Raj Dasgupta MD, a professor of pulmonary and sleep medicine at the University of Southern California. In actuality, power naps offers a myriad of health benefits, from helping to relieve stress to increasing alertness. But how, exactly, should you go about adding power naps to your daily schedule? Check out our guide to power naps, below, to find out how to you can successfully catch a bit more shut-eye. A good nap allows for the recovery of brain function, memory consolidation, the ridding of toxins that build up throughout the day, and a burst of energy, says Camilo A. Ruiz, DO, medical director at Choice Physicians Sleep Center in South Florida. “There’s a drive for us to seek sleep at some point during the day,” he says. As this process builds up, it overcomes you, putting you to sleep at night. “The idea with napping is that we can reset that trigger and hopefully be able to function at a higher level,” Ruiz adds. In sleep-deprived people, research suggests naps increase alertness, work performance, and learning ability, adds Dr. Dasgupta. Other research finds power naps can even help to boost immune function. Not everyone needs to nap. For one, people with insomnia shouldn’t nap, explains Michael Breus, PhD, a board-certified sleep specialist based in Manhattan Beach, California. If you have insomnia, daytime naps can wind up making you feel like you don’t need to sleep as much at night, potentially worsening your condition. “If you’re getting good restorative sleep and functioning well during the day, you likely don’t need to nap,” adds Dasgupta. But here’s the catch: More than one-third of Americans don’t get the recommended amount of seven hours of sleep a night. So, you might not be sleeping as well as you think. “There are plenty of people who say, ‘I think I sleep fine,’ but if you did a sleep study on them, they’d have underlying sleep issues,” says Ruiz. If you notice your productivity starts to wane, you can’t process information as quickly as you could in the morning, or you regularly daydream or feel like there’s a “fog” you can’t work through, you could benefit from a power nap, Ruiz adds. How does a power nap compare to a coffee? While there are plenty of other energizing stimulants out there, like coffee, nothing is better than sleep, explains Ruiz. Sleep is truly restorative for both the brain and body. It also helps fight back against sleep debt, which can contribute to the progression of chronic disease and mood disorders, according to the CDC, in addition to low energy and low productivity. “We sleep for a reason — to rest and restore,” says Ruiz. To perfect the power nap, you have to perfect your timing. An often-cited 1995 study by NASA found that a 26-minute nap was the “sweet spot” for a nap, improving alertness by 54 percent and performance by 34 percent. However, experts tend to agree that anywhere from 20 to 30 minutes is enough to reap benefits without leaving you feeling groggy when waking up. And don’t forget to set an alarm so you don’t go beyond that window. Here’s why a nap’s length matters: Sleep happens in cycles. A normal cycle starts with lighter stages of sleep called non-rapid eye movement (NREM) sleep and eventually hits a much deeper stage of sleep called REM sleep. This cycle happens on repeat while you sleep, each cycle lasting about 90 minutes. Deep REMsleep is crucial for overall health and well-being—it’s when your body works to restore energy, increase blood supply to muscles, and promote growth and repair of tissues and bones. When you nap, however, you want to avoid it. That’s because if you wake up from REM sleep, you might experience sleep inertia, where you’re left feeling groggy and disoriented. If, however, you only nap 20 minutes, you’ll likely wake up in lighter stages of sleep and thus feel refreshed. But beyond how long you sleep, there are other ways to make a power nap more effective. Start with these four techniques. A dark, cool, quiet room is ideal for sleep, notes Dasgupta. 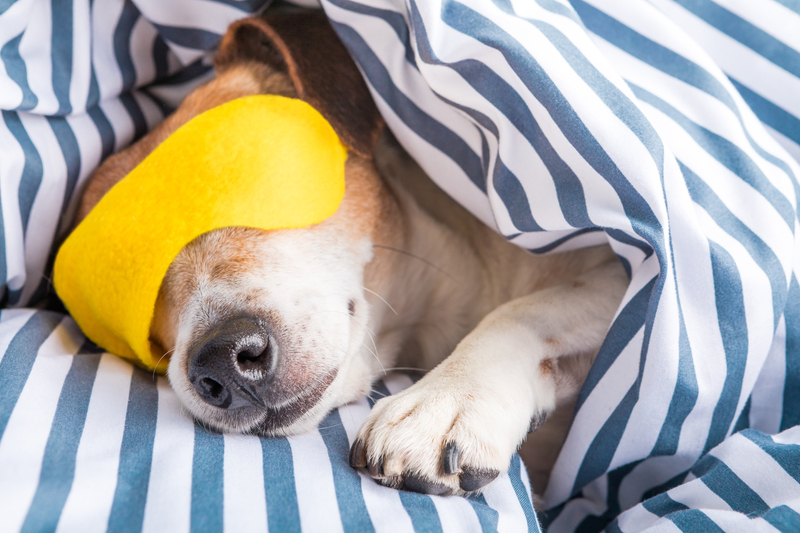 If you can’t control the light, temperature, or noise on your own, Dasgupta suggests wearing a sleep mask, taking off extra layers like sweaters, and considering a white noise app. You also want to avoid disruptions, which might mean turning your phone off for a few minutes or putting an old school “do not disturb” sign on your door. Between 1 p.m. and 3 p.m. your body temperature drops and there’s a rise in levels of the sleep hormone melatonin. This combination makes you sleepy, which is why this is a good time to nap, explains Breus. While you usually don’t want to nap after 3 or 4 p.m. — it might negatively impact how well you sleep that night — if you’re a night owl, a quick nap at 5 or 6 p.m. can help you power through the early evening, adds Ruiz. Ruiz also notes that napping an hour or two before something important — a public speaking event or a demanding task at work — can promote alertness and cognitive engagement. The idea of sipping a coffee before you go to bed may sound counterintuitive, but since caffeine takes about 20 to 30 minutes to kick in, having a bit of the stimulant right before you nap allows you to wake up with an added burst of alertness, explains Dasgupta. If you’re a doctor, nurse, firefighter, or you work another job that calls for hours outside of the average 9 to 5, chances are your sleep is disrupted. Taking advantage of downtime to work in some power naps can help make your sleep more regular. “If you’re consistently sleep-deprived, napping on a schedule can help your body become somewhat used to it,” says Dasgupta. You’ll grow to anticipate a nap between 1:20 and 1:40 p.m., for example, and be able to reboot body and brain while also logging more shut-eye on a regular basis. 1 in 3 adults don’t get enough sleep. (2016). Engle-Friedman M. (2014). The effects of sleep loss on capacity and effort. Geoghegan T. 2011. Who, what, why: How long is the ideal nap? Health benefits of napping. (n.d.). Is a nap studio right for you? (n.d.). King E, et al. (2017). Sleep in studio-based courses: Outcomes for creativity task performance. Shift work and sleep. (n.d.). Sleep and chronic disease. (2018). Sleeping at work: Companies with nap rooms and snooze-friendly policies. (n.d.).